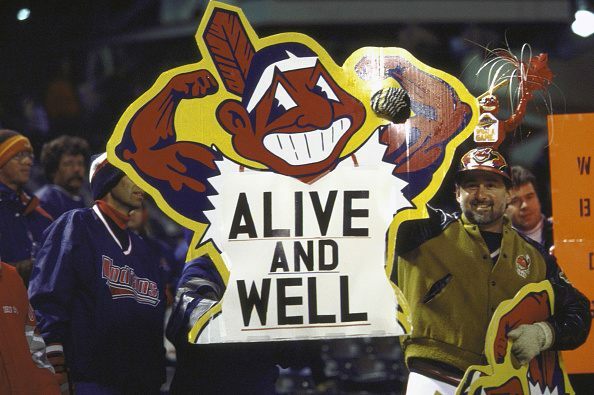 The Indians are set to take on the Toronto Blue Jays in Game three of the ALCS but if this activist has his way the Ohioans will be barred from wearing their uniforms or calling themselves by the team name they’ve played under since 1915. The activist’s request is set to be heard by the Superior Court of Justice in Toronto on Monday, October 17, the Associated Press reported. Mr. Cardinal insists that the team’s name and logo are demeaning and “offensive” to indigenous peoples and he is demanding an injunction barring their use in Canada. Already Blue Jays broadcaster Jerry Horwath stopped using the name as he calls games for the radio. He similarly stopped using the name of the Atlanta Braves, the Toronto Star reported in October.